It’s sooo hot in Atlanta right now there is nothing to do except stay inside in the air conditioning, so I figured it is a perfect time to catch up with the blog. We’re really far behind, so I’m just going to post a bunch of photos at once. This is pretty much spring until now (beginning of July). When it was cold outside (aka during the winter) we did some work inside. 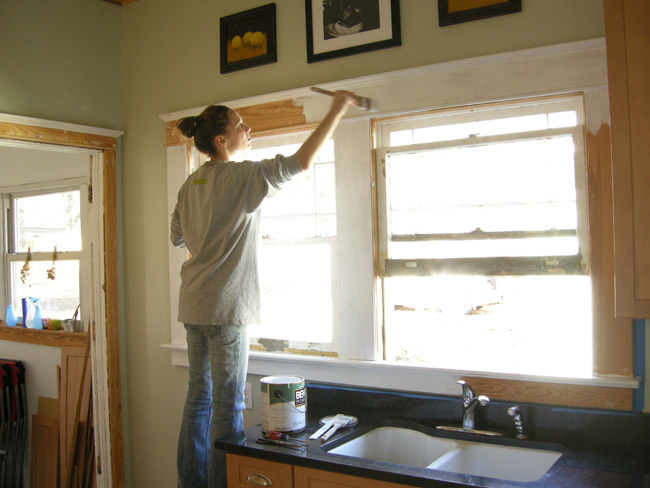 Such as painting the trim around the kitchen windows. 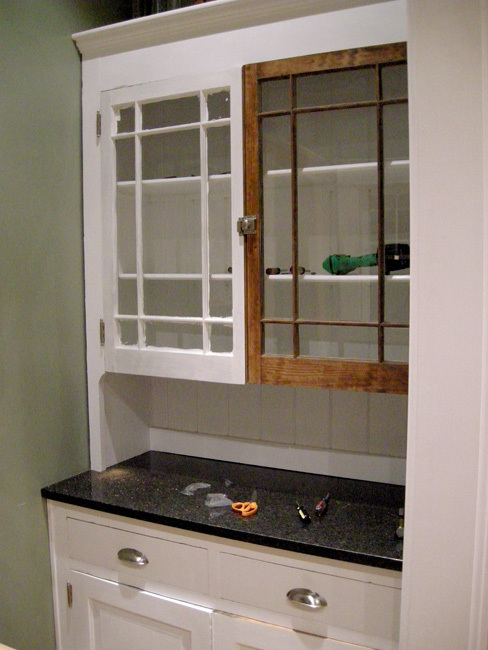 We also put both doors on the bulter’s pantry! I still need to paint the right one, but maybe I’ll do that today. 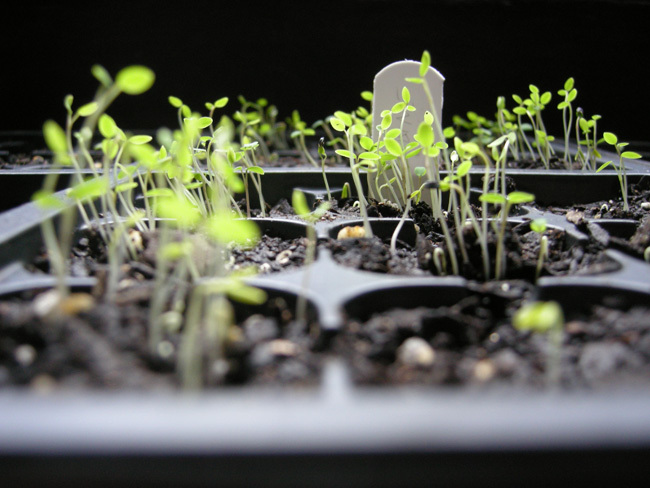 In the early spring we planted some seeds. These plants have now been in the garden for months, and they are much bigger. 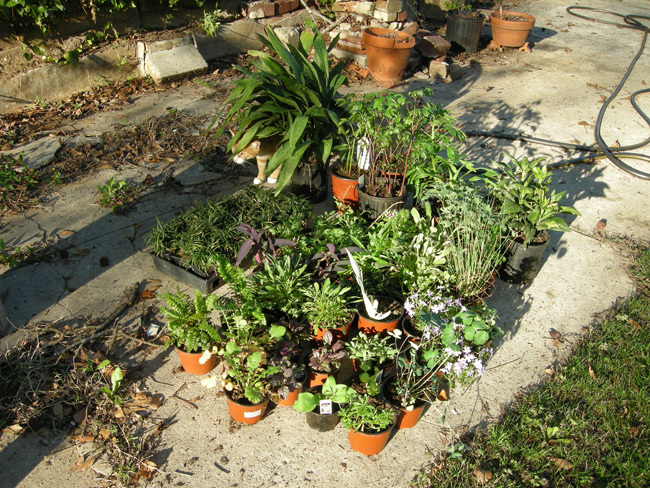 Our annual trip to Grower’s Outlet to aquire new additions for the garden. 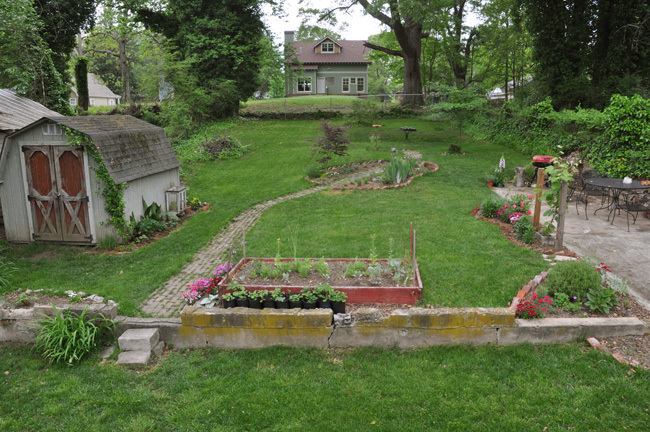 All of the plants in the garden in the spring. Note our new fescue lawn that we seeded in the fall of 2010. 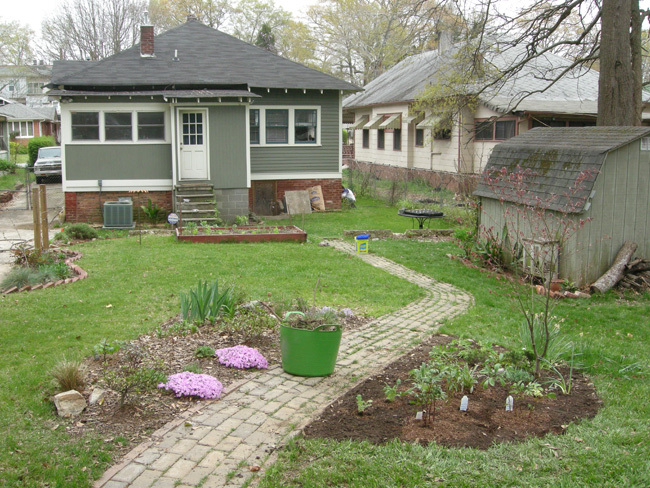 Lastly, this is how the yard looked after we installed brick borders around all of the flower beds. Some of the veggies we grew in the garden. 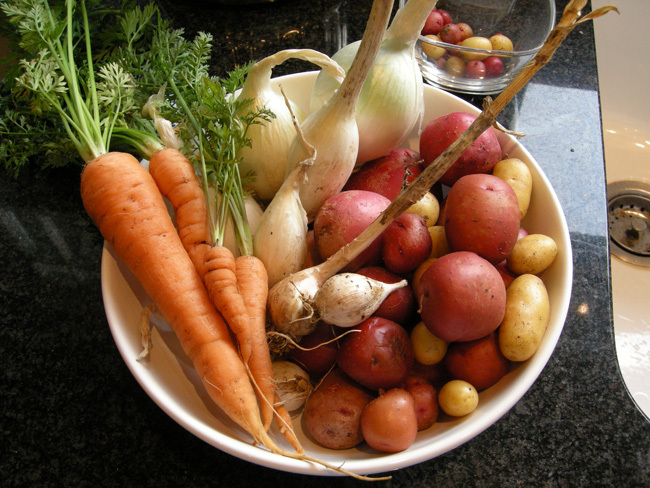 Carrots, potatoes, onions, garlic, etc. 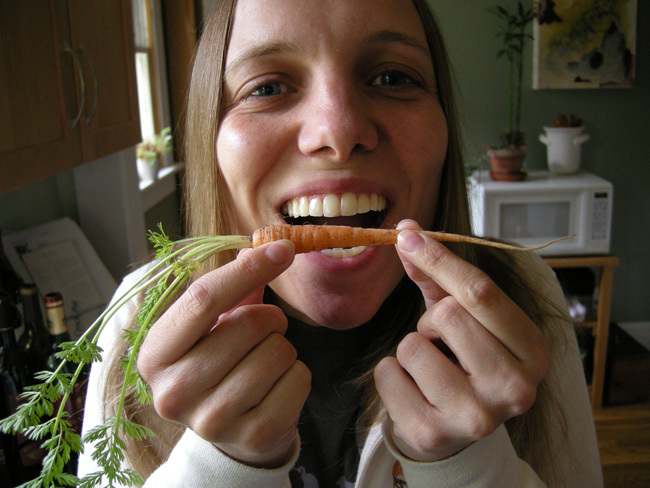 Steffi trying a mini carrot. And hopefully the next time we make a post we won’t be apologizing about falling behind!